As greed took over fear, investors managed depressing protection premium to way too low levels. We have been writing about this for the past week. Today, the noveau bull, is experiencing slight discomfort. Futures are falling and risk premium spiking. 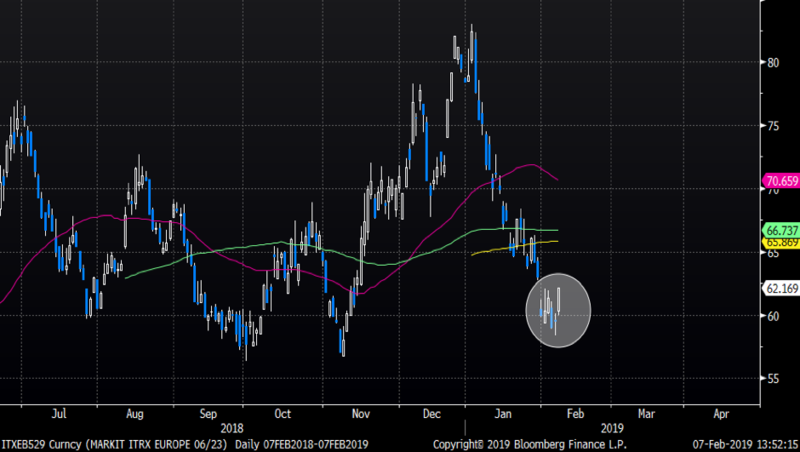 The European credit, iTraxx main, is currently putting in the biggest gain since the January panic level was reached. 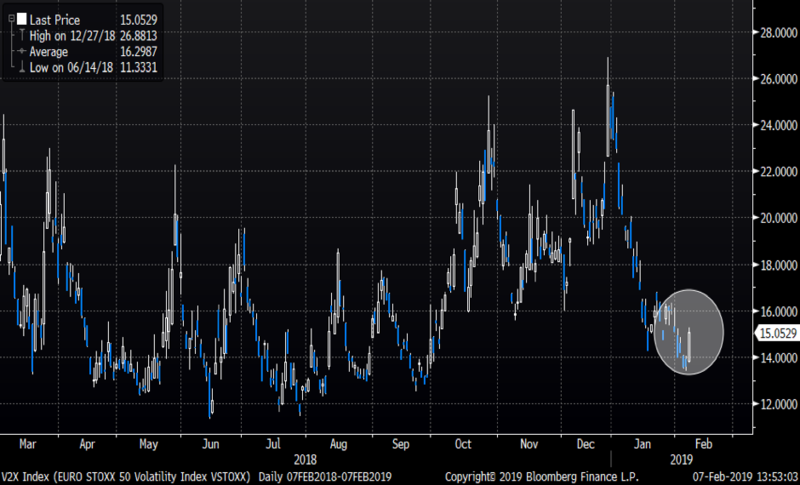 Investors have once again sold way too cheap protection. 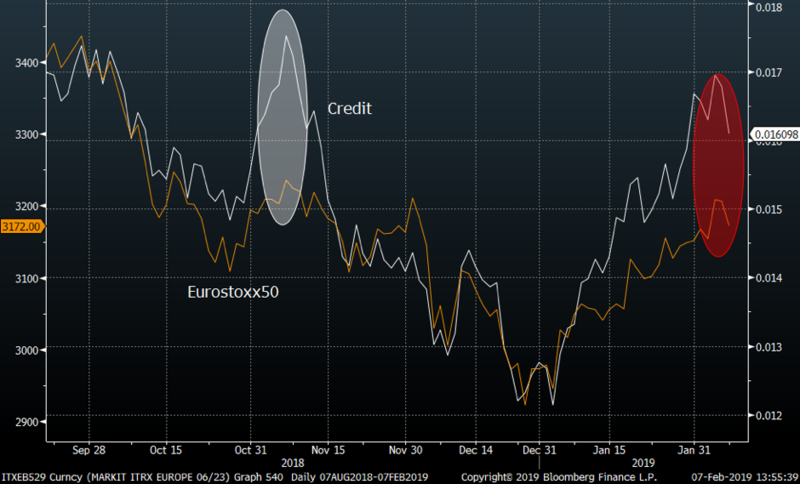 The Eurostoxx 50 versus the inverted credit chart shows a very similar picture to what we saw last autumn when investors sold protection too low, only to restart chasing it as equities started the move lower. Maybe this time is different, but we doubt it. 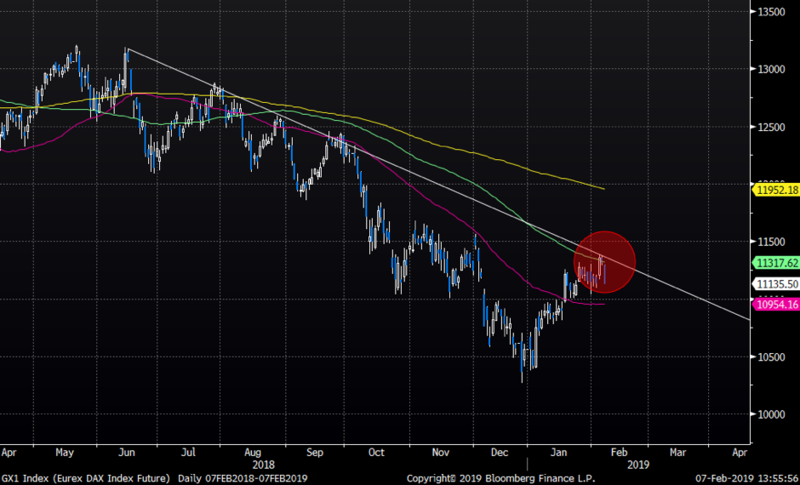 As we pointed out yesterday, “No DAX, no European Bull”. The DAX turned right on the trend line as well as the 100-day average. Watch out below.